As spring rolled in a few months back I took the time to do a little self-reflection, and realised that it was not only my house that needed a good spring clean. A post-winter weigh in registered a 2kg increase on the scales. What concerned me more however was that I’d fallen into a routine of eating the same narrow range of quick and easy to prepare meals over and over again. Variety and good nutrition had fallen aside for the sake of ease and convenience. A cleanse was definitely in order. I’ve done a few cleanses before; the lemon juice one (didn’t last more than two days on that one) and others where I’ve had to eat strange concoctions or mix up odd-smelling powders and try to drink them without vomiting. The thought of trying any of those again wasn’t appealing so I turned to Google for another solution. 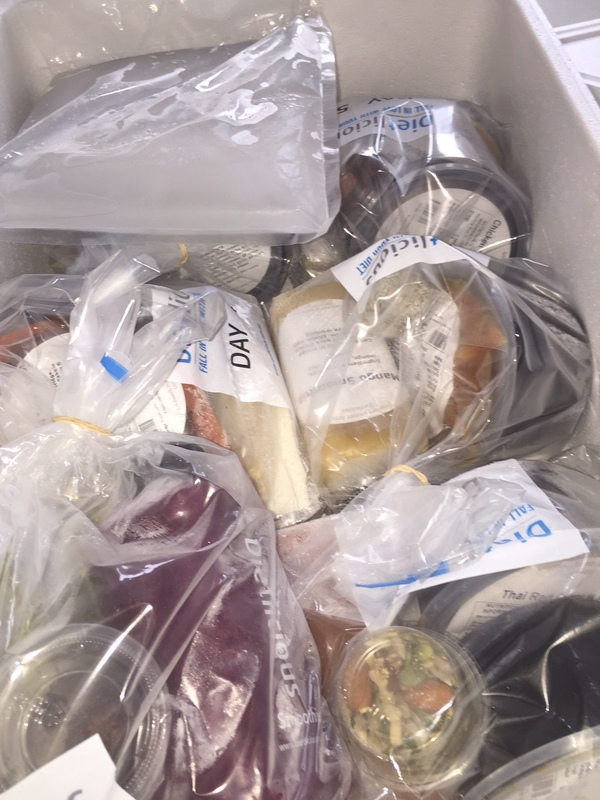 A few searches later and I discovered Dietlicious; a healthy food plan offering fresh, natural meals—cooked by real chefs and with no preservatives—and delivered directly to your door. We recommend starting on a cleanse to re-set your metabolism and give your digestive system a rest from wheat, gluten, dairy, red meat, preservatives, additives + highly processed foods. It’s a great way to kick start your healthy eating program, lose a few kilos and feel great inside and out. This is a fixed plan of approx 1100 calories and meals cannot be substituted. 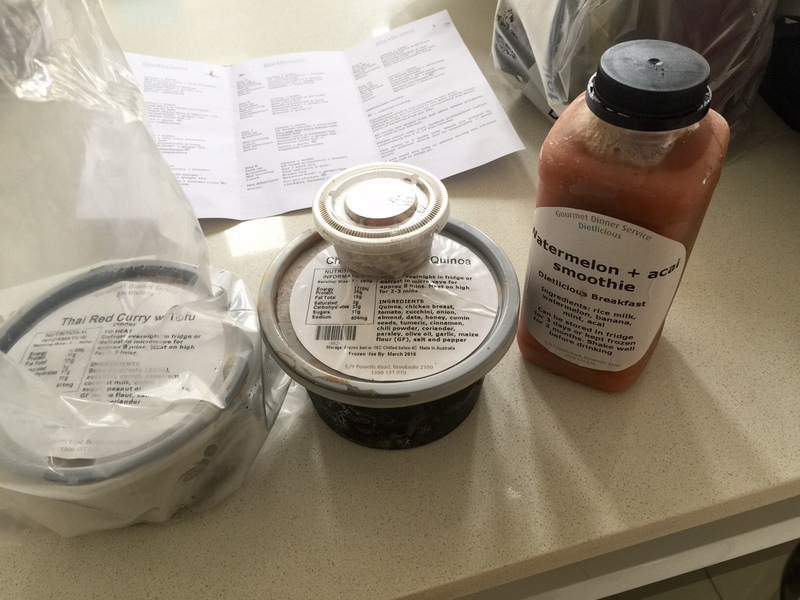 I ordered the 10-day cleanse program—as I decided to commit fully to the process, and also since I figured this was ‘real’ food it shouldn’t be as hard as other cleanses I have tried—and two days later my styrofoam box of goodies arrived. 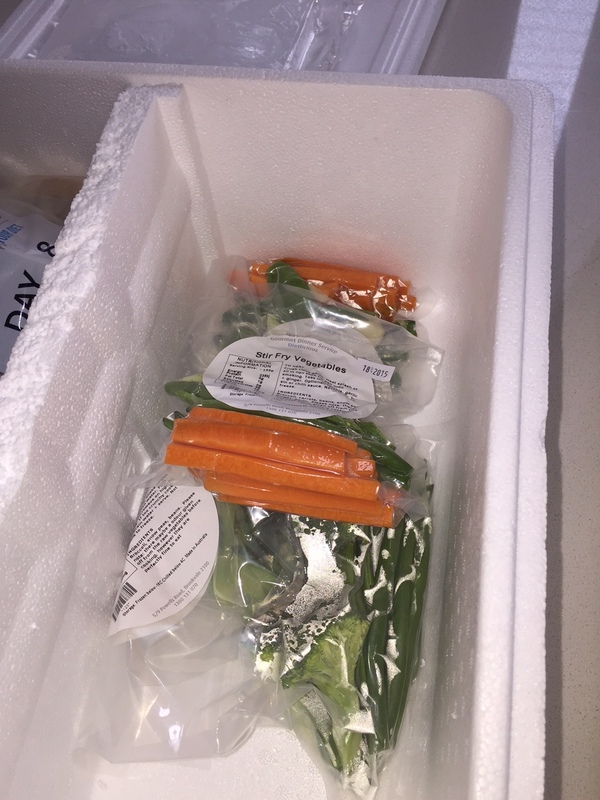 Most of the items arrived froze (except for the vegetables which are cryovaced and can be stored in the refrigerator), and they are grouped together by day making it easy to store all of the items in the freezer and then just pull out the next day’s meals each night. While the majority of items are supplied there were a things that I needed to buy myself, including fresh lemons, a small piece of fruit for each day, as well as organic ginger and peppermint teas. There’s also no caffeine, soft drinks, alcohol or fruit juice allowed! I started on my cleanse the very next day, and what struck me most was the quality of the food—it was absolutely yummy! Taste aside however, it’s fair to say that by mid-afternoon from the very first day the cleanse started to take its toll. I’m not sure if it was because I was missing my morning Diet Coke (I’m not a coffee drinker so that’s my substitute) or maybe the smaller than usual servings, but I had a raging headache and my energy levels were through the floor. All I wanted to do was curl up and go to sleep. This continued through day two—more headaches, more lethargy—but when I woke up on day three I felt like a new person. No headache, my energy levels were back, and while I obviously hadn’t lost any weight yet I felt lighter and less bloated in myself. The biggest change however was my sleep. I have had a terrible pattern of sleeping over the past couple of years, with very restless sleep and no long lengths of deep sleep. By day four however I noticed a remarkable difference. I was waking up feeling rested and ready to go (for the first time in ages) and my FitBit sleep monitoring was also showing markedly improved patterns with regular and long sections of deep sleep. By the end I had lost 1.5kg (was a bit dissapointed this wasn’t more to be honest, but hey at least it was a loss), but most importantly I felt great and was reinvigorated to kick start a great healthy eating program for summer. The meals are mostly delicious. There were just a couple that I wasn’t crazy about, but that is just personal taste. The cost. At $370 for 10 days it is not cheap, but not too bad if you remove any costs you would normally spend on takeaway lunch, coffees etc. The packaging. There is a lot of packaging involved and I would love to see them move to bio-degradable packaging (but realise this might be tricky for making the meals microwave friendly). Maybe at least a greater emphasis on encouraging users to recycle the packaging at least. After the cleanse I decided to continue with Dietlicious, but now I just order the individual meals and use them for about 80% of my weekly diet. There is a greater variety of meals available that those included in the cleanse and so I’m currently enjoying myself working my way through their menu! If you’re considering a cleanse I do highly recommend Dietlicious—give them a go!